The search for the best Chinese food in Albuquerque, New Mexico, begins and ends at Budai Gourmet Chinese. Good, authentic Chinese food can be hard to come by no matter which city you're in, but Budai Gourmet Chinese has definitely made its mark. Voted as the best Chinese food for several years in a row, Budai Gourmet Chinese has become the go-to place for anyone who craves authentic Chinese food in Albuquerque. For those looking to either enjoy the best Chinese food in Albuquerque or indulge in “exotic” Chinese cuisine, Budai Gourmet Chinese is the place to visit. Customers can make reservations for parties of six or more guests at Budai Gourmet Chinese by calling the restaurant at 505-797-7898. · Lunch - Lunch specials are available that includes an entree with a choice of a vegetarian egg roll and steamed or fried rice upon request. Entrees: chicken lo mein, sweet and sour pork, pepper steak, kung pao chicken, tofu and vegetables, shrimp in garlic sauce, crispy flounder in black vinegar, and more. · Appetizers - Bu bu tray, veggie or chicken egg rolls, crab rangoon, fantail shrimp, and more. · Soups - Chicken corn soup, wonton soup, fish and goji berry soup, west lake soup, hot and sour soup, and more. 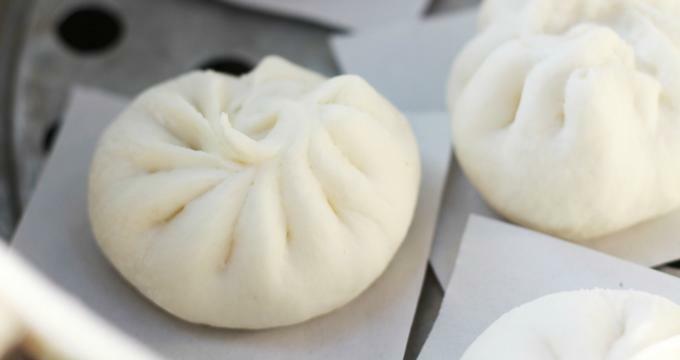 · Dim Sum - BBQ or mini pork steamed buns, green onion pancake, pot stickers, steamed mini shrimp dumpling, steamed red bean paste buns, and more. · Entrees - Chicken: cashew chicken, mushroom chicken, lemon chicken, jalapeño chicken, and more; beef: sesame beef, orange peel beef, pepper steak, Mongolian beef, kung pao beef, and more; fish: stewed or crispy whole fish, steamed whole fish, crispy flounder filet, and more; pork: twice-cooked pork, snow vegetable pork, sweet and sour pork, Peking pork, and more; vegetables: sweet potato leaves, Chinese eggplant, Taiwanese napa cabbage, mixed vegetables, Chinese broccoli with oyster sauce, and more; tofu: clay pot tofu, almond shaped tofu, mapo tofu, green onion pan fried tofu, orange peel tofu, homestyle tofu, salt and pepper tofu, and more. · Desserts: Green tea ice cream, sweet formosa, and eight treasures sticky rice. · Beverages: Homemade lemonade and seasonal fruit slushy, flowering tea, and Taiwan high mountain tea.